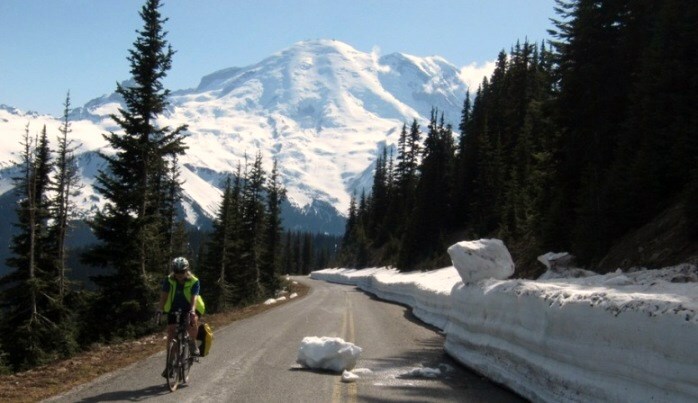 Challenging mountain passes with breathtaking views you’ll earn and USBR10 as one route option. In our Washington state bike tour book: Epic Washington: North Cascades Highway to the Methow Valley (traversing part of the proposed US Bicycle Route System 10). Towns: Mount Vernon, Concrete, Rockport, Marblemount, Mazama, Winthrop, Twisp, Carlton, Methow, Pateros, Chelan, Entiat, Wenatchee. Taste of Touring: Beginner Tour from Seattle. Towns: Seattle, Bothell, Redmond, Carnation, Issaquah, Preston, Bellevue, Mercer Island, Fall City, North Bend, Easton, Cle Elum, Ellensburg, Thorp, South Cle Elum.